Kawasaki sponsored George Morin but he raced in other classes that they had no machine to enter so they approved his entry of several different makes. In 1977, at St Felicien, Quebec the Kawasaki KZ1000 won him the Expert Open Production, a win on the Yamaha in the 400cc production Class and the 125 Championship on a Honda. Three National titles on three different makes of motorcycles – this has never been done before or since. George was born in 1948 in St John, New Brunswick but lived in Port Credit most of his life. He started racing in 1971 and his first race at Mount Tremblanc, was not only on a track he had never raced on before but on a bike, a Triumph Daytona, that he had never rode on. Starting last he managed a second place finish. He also met up with Peter Hurst and Mike Compton who have remained lifelong friends. George also met Skip Izone and they travelled to the races together for the rest of the year. 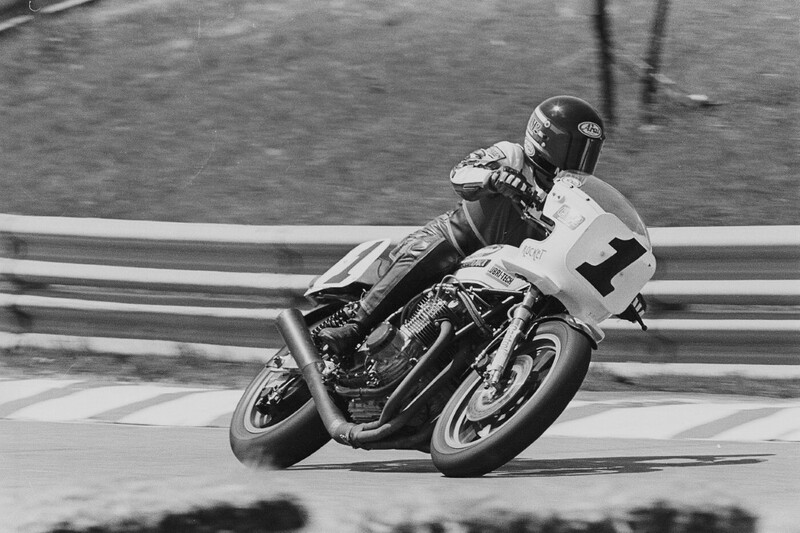 He entered a 5 hour race at Mosport with “Crazy” Frank Mrazek and finished 4th overall on a 500 Kawasaki H1. By 1973, George was classified as Expert riding a RD350 Yamaha but broke his collar bone at the first race of the season at St. Sanair Quebec. He was able to enter the Nelson Ledges five Hour with Peter Hurst only to watch Peter totally destroy his bike! In 1974, the wins started to come and he won his first National Championship at Mosport. He again won the National title in 1975 and 1976 and became the man to beat. George was also invited to South America to run the Guyana 250GP which he won in 1977 and 1978. 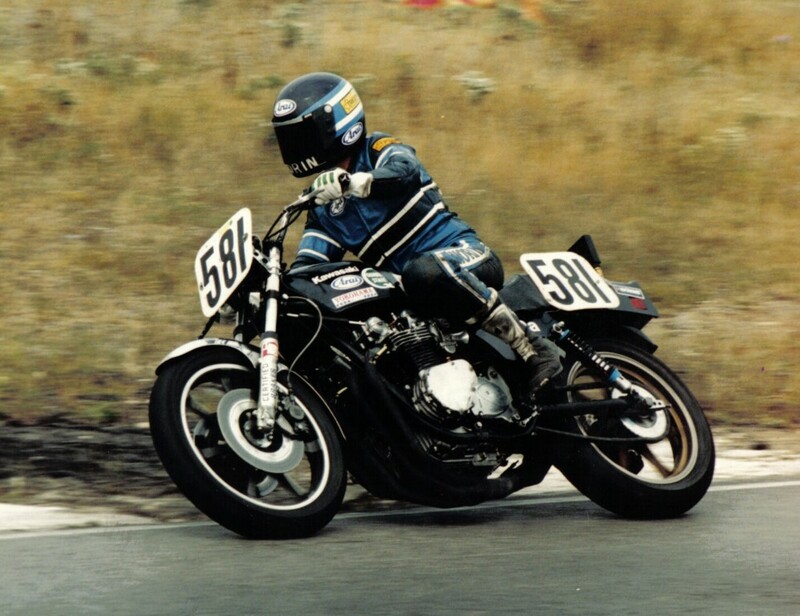 He started running the Kawasaki Z1R and took the Canadian National Superbike Championship in 1979 and a first in Havana, Cuba on the 125cc Honda in front of a crowd of 60,000 people in the pouring rain. 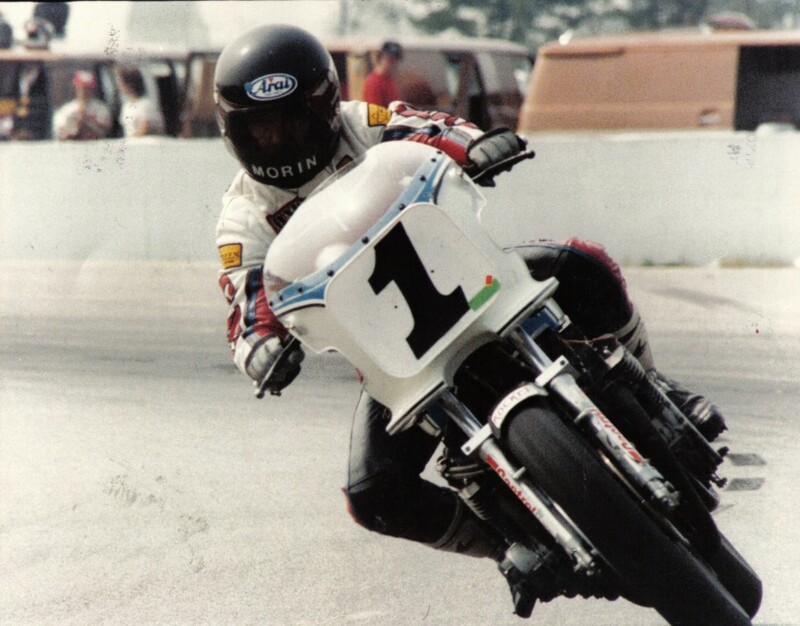 He was awarded his first #1 Plate in 1980 for Superbike and also raced Superbike in the USA. Sponsored by Suzuki Canada in 1981, he had a difficult season but placed the highest entry at Daytona 200 for a non factory supported entry. George took a 1st at Nova Scotia in 1982 but suffered a bad accident at Shannonville. The last race of the year was a 5 Hour race won by George and Rob Cooper on a Suzuki Katana. George met his future wife in 1983 and retired from competition with eight National Championships. In 1984, George became the team manager for Suzuki Canada with Michel Mercier as rider and by 1985 they had many wins and two championships and continued the winning streak to 1988. He also traveled to the UK twice for Michel Mercier’s participation in the “Match Races” in England. In 1989, Morin took on Miguel Duhamel and Jeff Gaynor as riders. The team won Superbike in 1990. George also worked with John Britten in Daytona. George retired from the racing field in 1992 until 1994/1995 when he worked with Honda Canada and rider Mike Compton. In 1997, he was with Yoshimura Northwest and Rick Bodding. George became Manager for Yamaha Canada in 2000 and 2001 with Frank Trombino as rider. Frank won the National Championship. In 2002 he was with Yamaha Canada again and 2 riders, Mike Taylor and JF Cyr. In his many years of team management, George worked for; Yamaha Canada, Honda Canada, Suzuki Canada, Kawasaki Canada, Yoshimura USA and John Britten NZ and worked with champions; Michel Mercier, Jeff Gaynor, Miguel Duhamel, Mario Duhamel, Jamie James, Dan Kruger, Owen Wankel, Steve Crevier, Mike Taylor and J.F. Cyr, taking the teams to compete in Canada, USA, Japan, UK and Australia. 2003 was George’s last year with Yamaha, he had “retired” again. These days George is still at the track helping friends Peter and Chris Hurst as Team Manager for Vintage “R.O.” Racing Team. George has devoted a large part of his life to improving Canadian Road Racing and has had many successes. 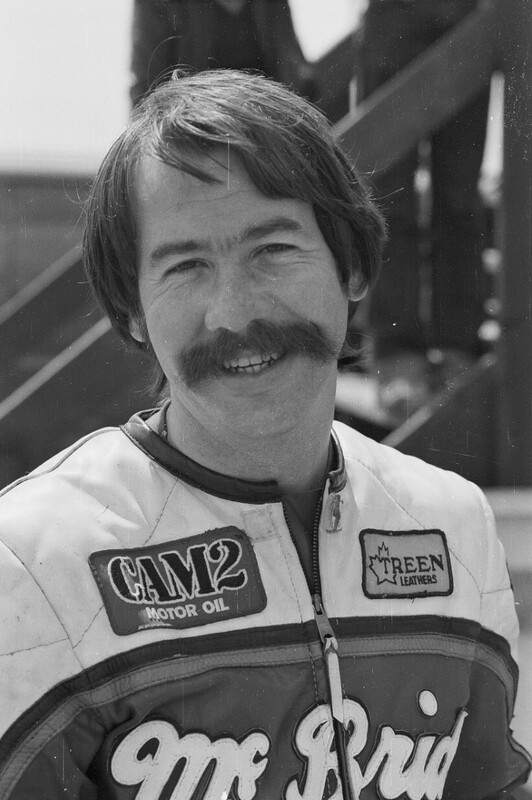 We welcome George Morin as an inductee into the Canadian Motorcycle Hall of Fame.